One of my apps, Timehop, reminded me that I retweeted this quote last year and wouldn’t you know it? It’s just what I needed to hear again. It’s amazing how we end up standing in our own way, our excuses getting the best of our intuition and before long we’ve taken the safe route, the road taken by everyone else instead of the path our hearts want to take. Maybe it’s fear that makes us turn away – heck, in my case, usually it is fear – but as a writer , how can our stories be ‘real’ if we don’t follow our truth? We listen and read everyone else’s as it is, so why not our own? 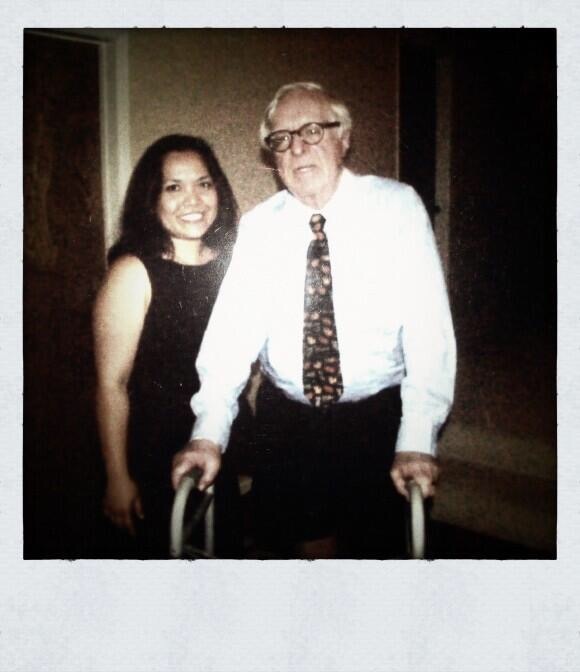 For #tbt or Throwback Thursday, did you know I met the late Ray Bradbury twice? I was a member of a writing group called Southwest Manuscripters and every year, Bradbury give a talk to a packed City Center and afterwards, the officers would drive back to one of the members’ houses for some tea and he’d regale is with more stories. I was in charge of the newsletter at that time so I got to be part of that intimate talk for two years.